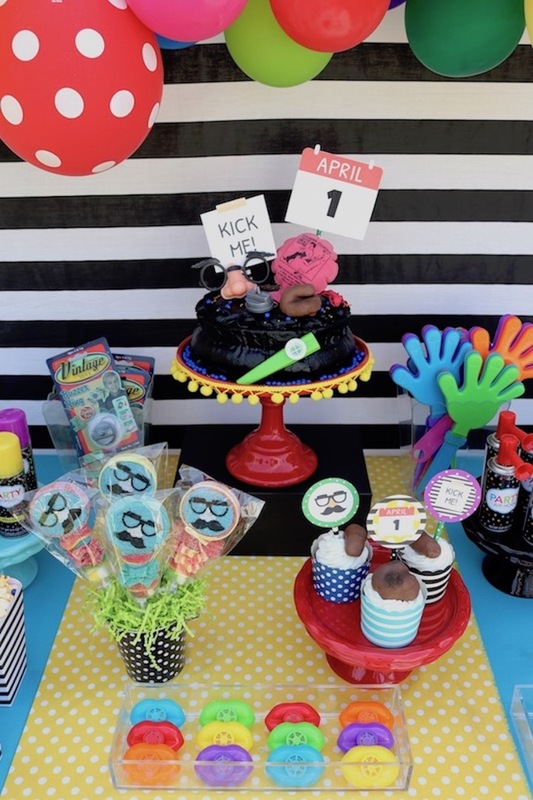 Super silly ideas for throwing an April Fools' day party! I live in a house full of jokesters and their super silly antics! 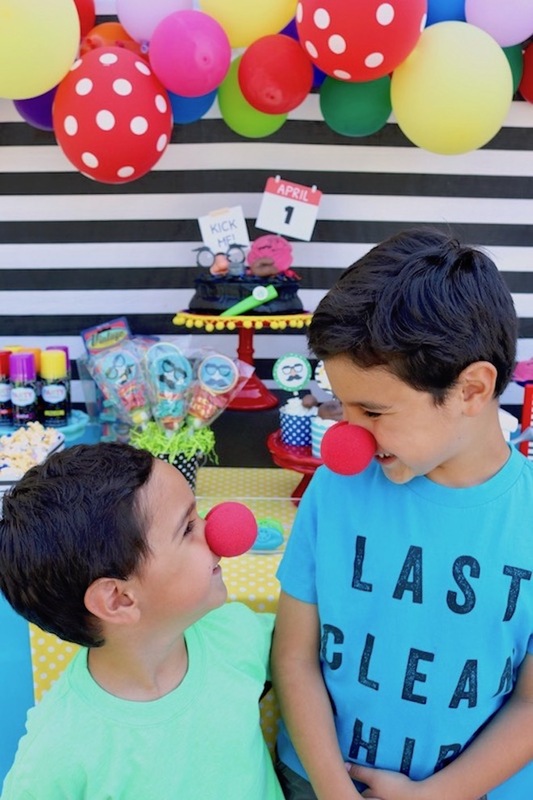 There is never a dull moment or day that goes by when I haven't laughed out loud at my husband's dry humor, or giggled at something funny my children have said. If you ask me, my house is a pretty fun place to be! 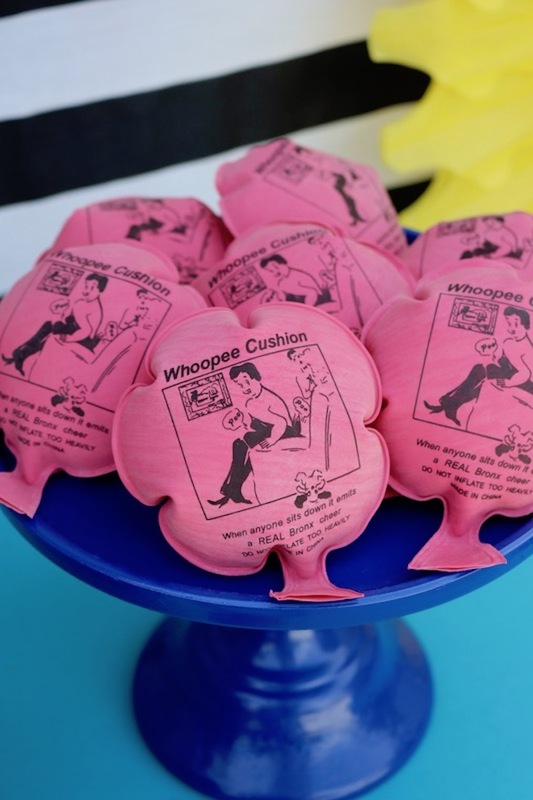 My two younger children are at such fun ages right now, so I wanted to throw a little April fools party for my little joke-telling, fake mustache-wearing, whoopee cushion-loving, boys! 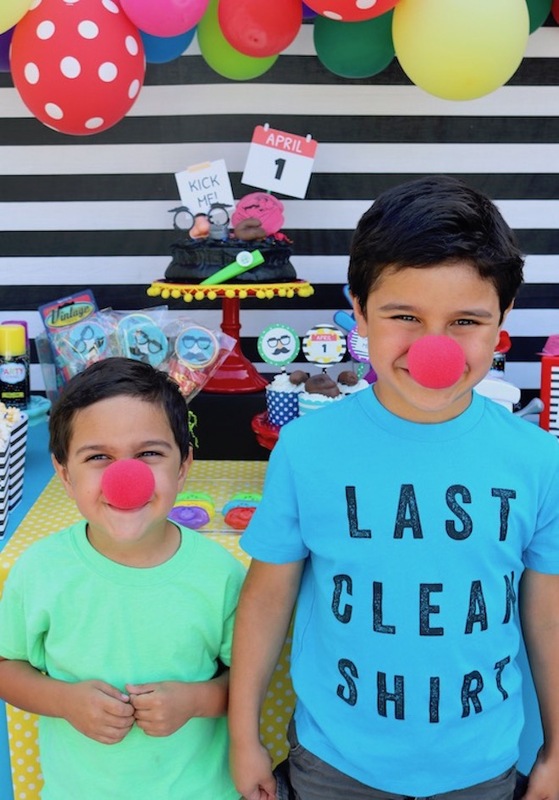 They're at that age where burps and other "noises" are a pretty funny ordeal. With that in mind, I contacted a few of my friends to help me out with some silly treats for my April fools day party! 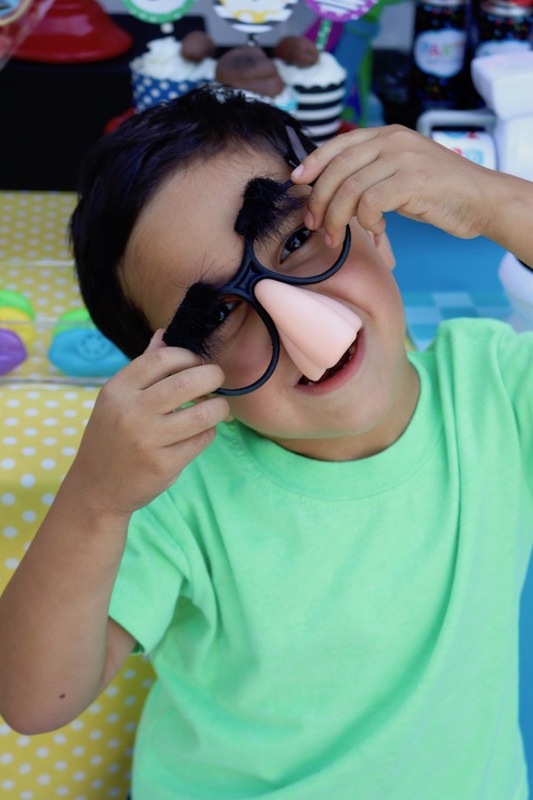 Collect items that you think would be great for pranks, or just plain silly to play with! I found some fun stuff at my local Party City store. They had a small area that displayed all sorts of gags and silliness! 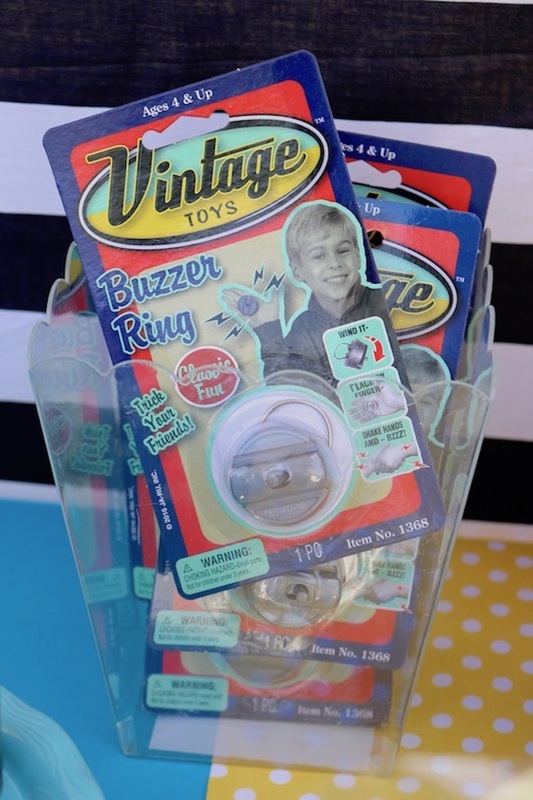 I found buzzer rings, clown noses, silly eye glasses, mini whoopee cushions, and more! 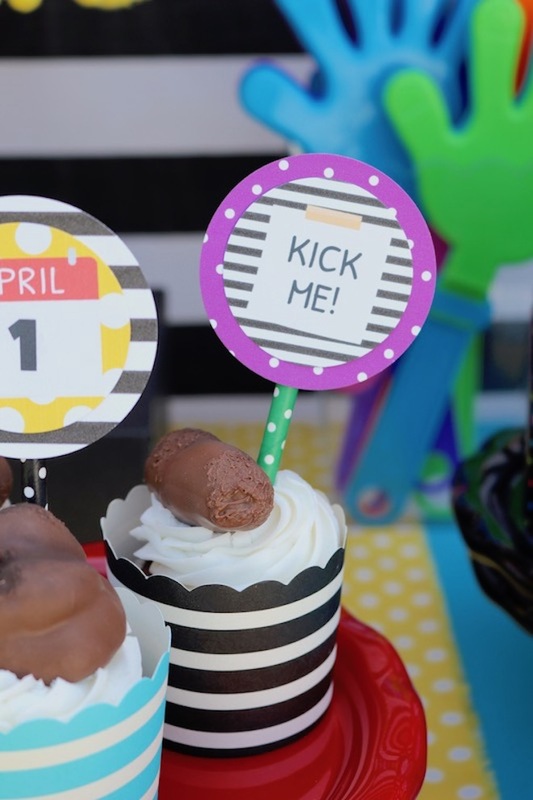 Set out April fools pranks on your party table - display the party favors in clear containers, or on cake stands. 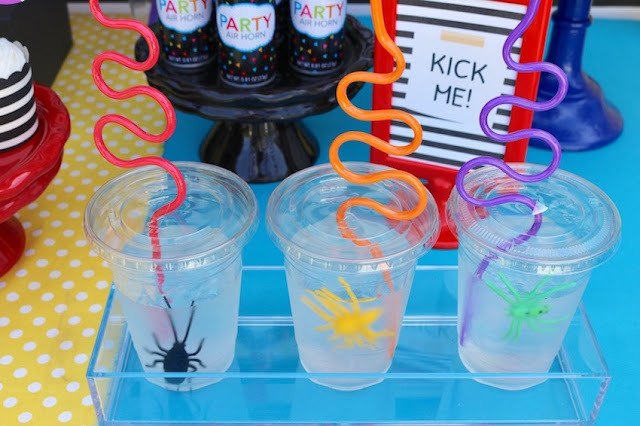 This will make it easy for your party guests to pick and choose their tricks! 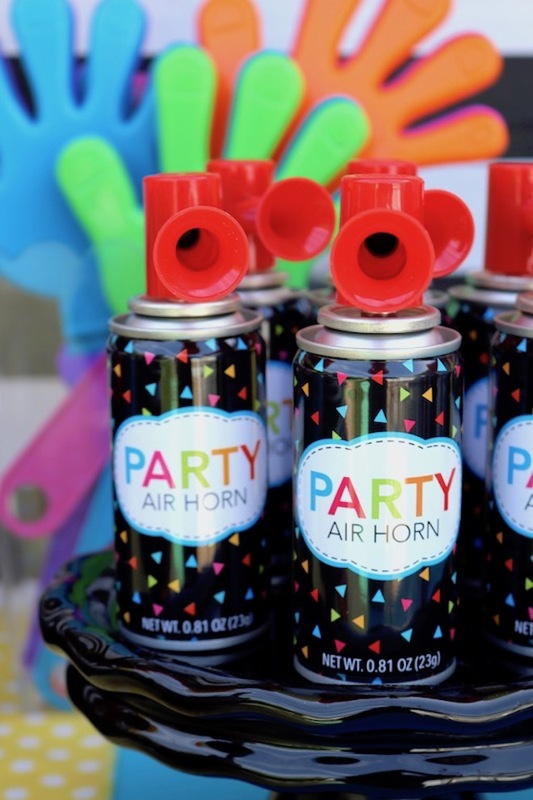 Need a few more ideas for wacky party favors? Visit your local 99cent only store. 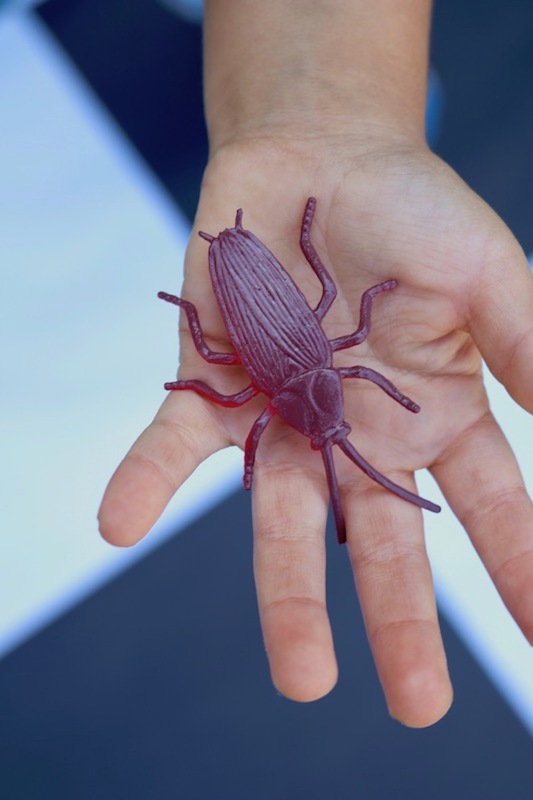 You'll find silly string, air horns, large-sized hand clappers, and creepy crawlies that are perfect for tricking someone! 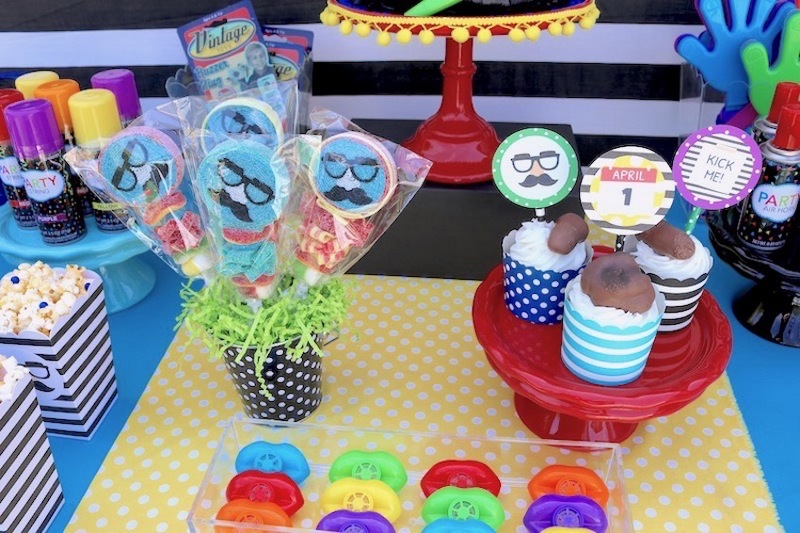 Pick out some party treats that are easy to grab, fun to eat, and dare I say... a little gross?! 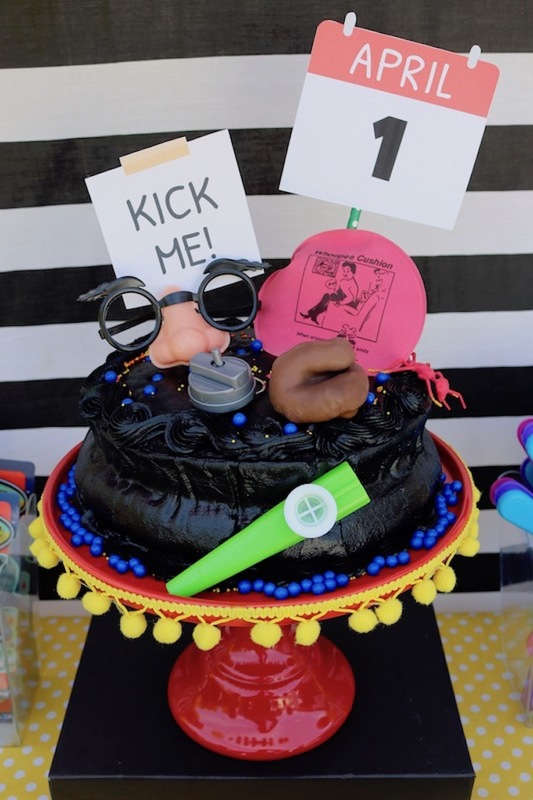 Our sweet friends over at Bella's Bakery and Bowtique are always up for any ideas I toss their way. They always create the best desserts for our parties! 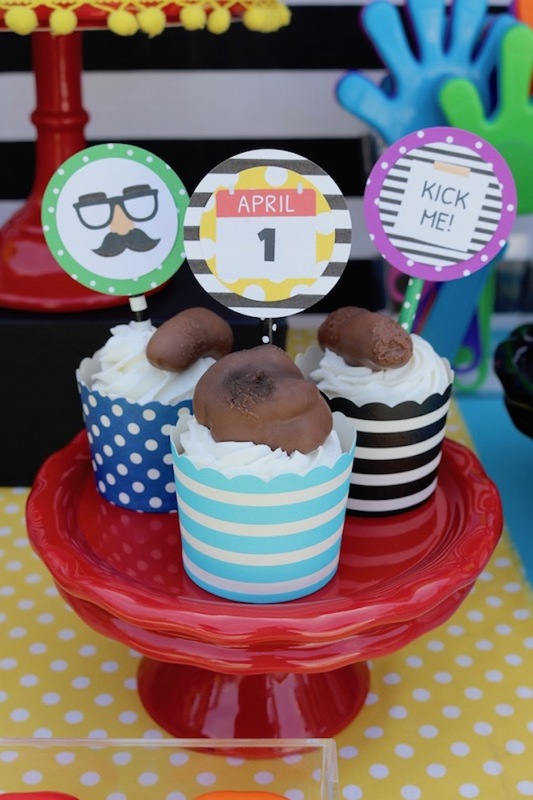 If you're up for a good trick, your guests will be totally grossed out when they find fake poop sitting on their cupcakes! The look on my 4 years old's face when he saw the logs, was PRICELESS! With any type of celebration, its always a great idea to create something that includes a few personal touches. 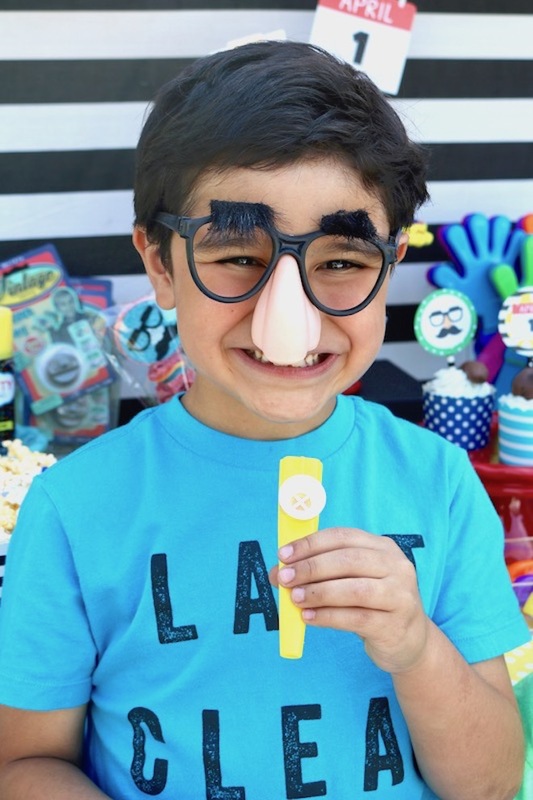 My 4 year old has been wearing a fake mustache for about a year now. It started off as a hand drawn (eye liner pencil) mustache, and then quickly escalated to a fuzzy, self-adhesive type. 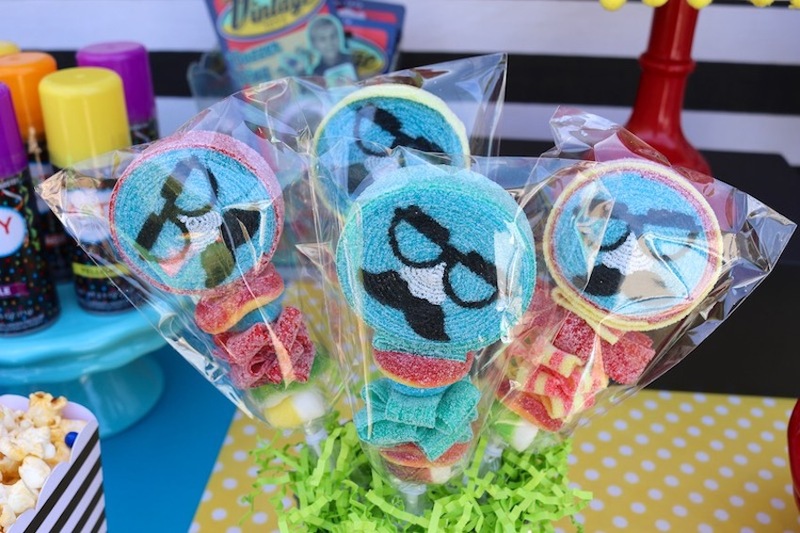 It's actually pretty hilarious trying to scold a mini man, wearing a mustache. 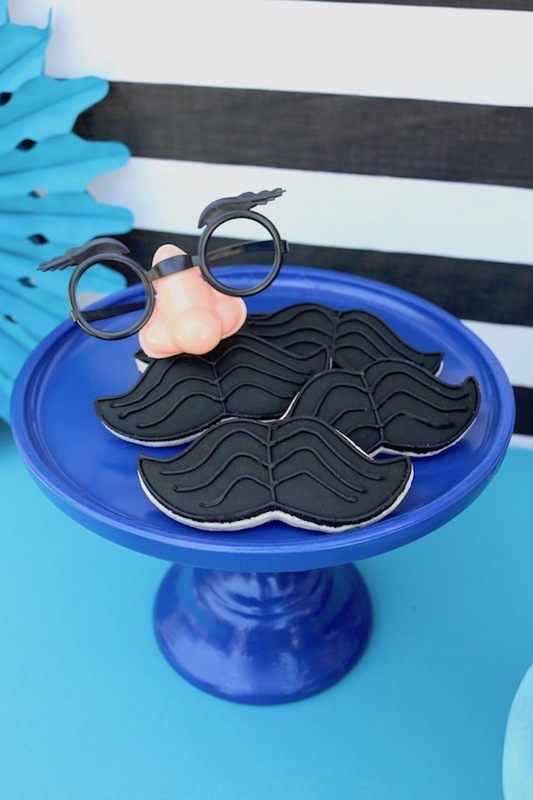 My good friend Maddi, from Sweet Talk Bake Shoppe, made some cute little mustache cookies that were perfect for the occasion! 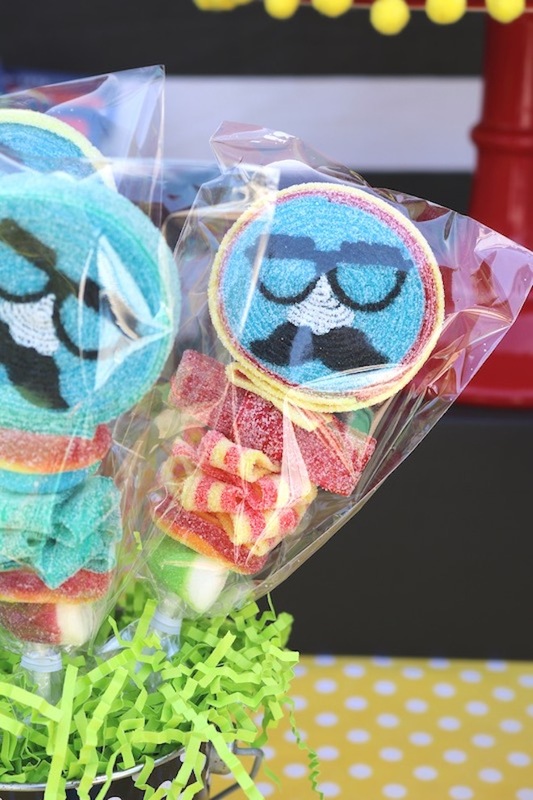 Sweets from Heaven whipped up some amazing candy kabobs for our April fools party table! 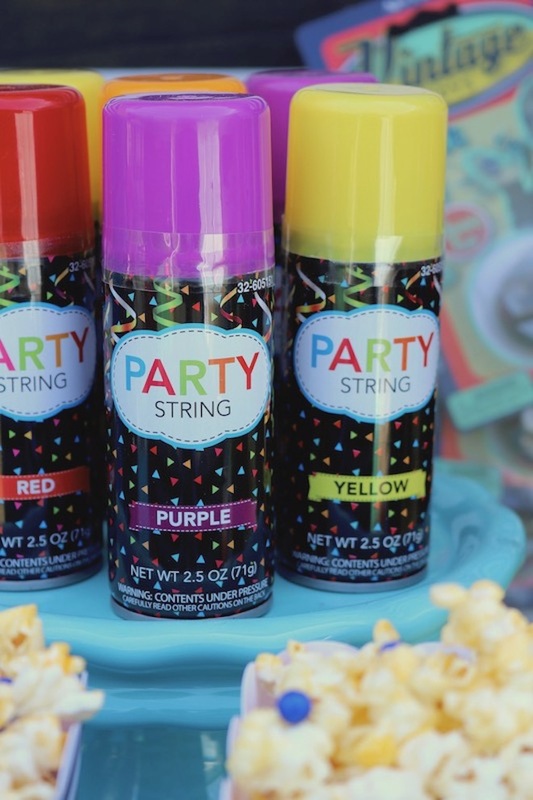 They can create pretty much anything and it will coordinate perfectly with your party. The bobs are packed with tasty sweet and sour candies that will make your lips pucker, and your eyes water - they're fantastic! 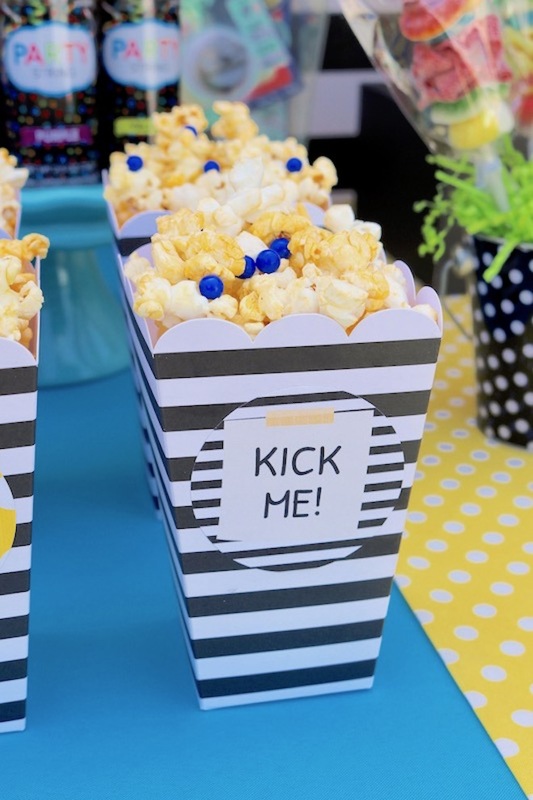 Serve popcorn in fun containers. 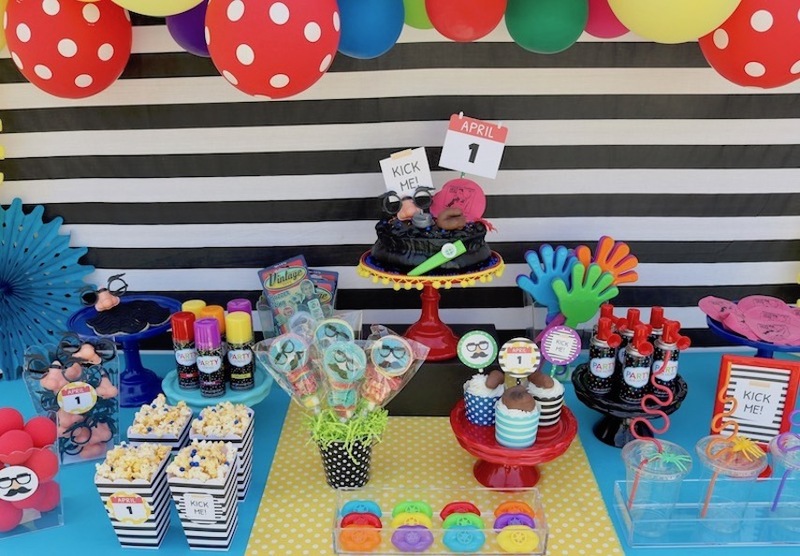 Sprinkle some candies on top of the popcorn for a little added fun! 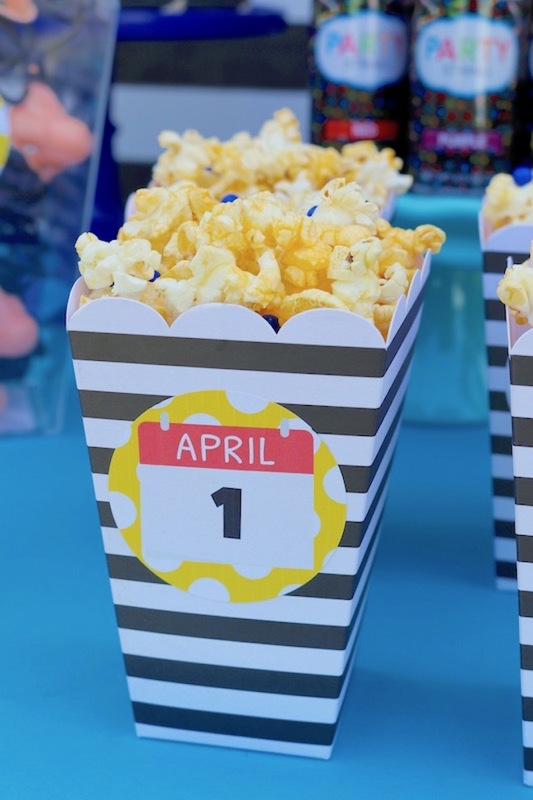 Attach a coordinating printable sticker on popcorn boxes like the ones from our friends over at The Bakers Party Shop! Create some silly sips for your April fools tricksters! 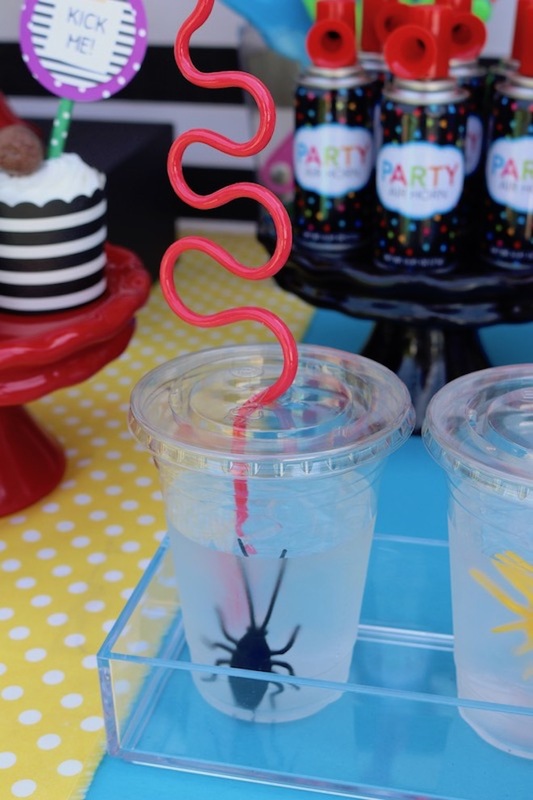 Whether you're serving juice, potion, or water, nothing is more wacky than sipping out of a Krazy Straw and finding a creepy bug inside your cup! 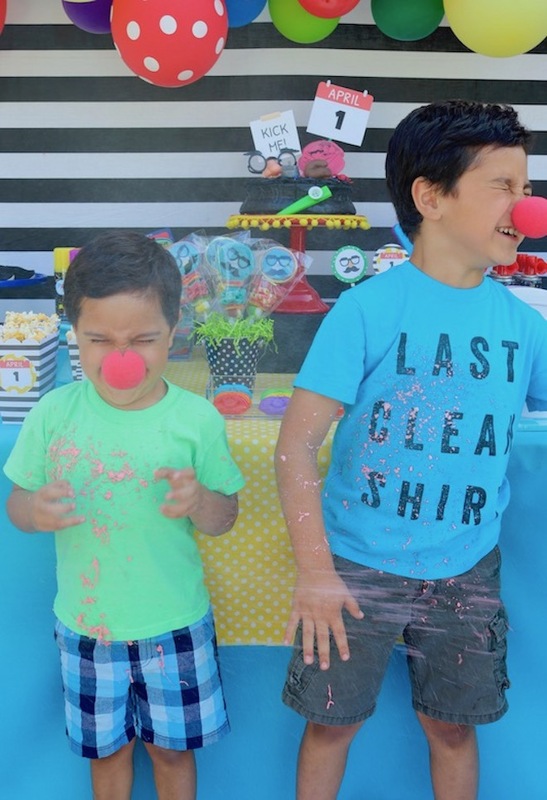 Do you encourage silliness and laughter? 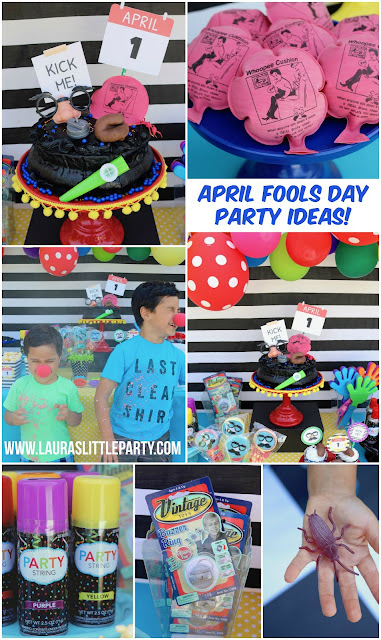 With our fun ideas, and super easy ways to celebrate April fools day this year, you'll have nothing but belly laughs and sore cheeks from all the wacky fun! 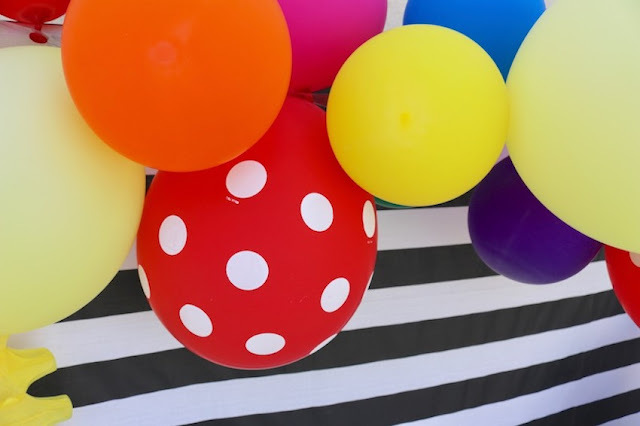 Hope your April fools Day is full of fun and mischief! 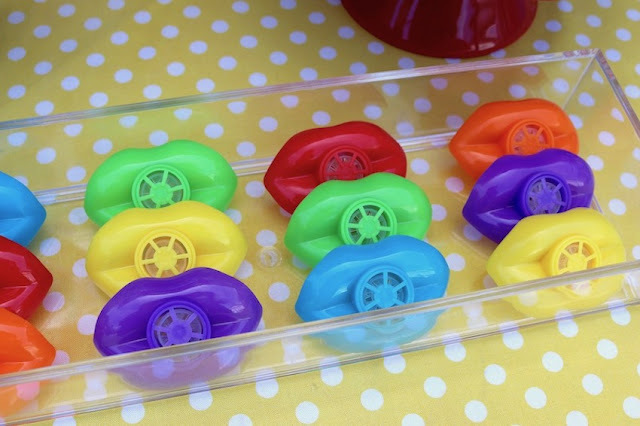 Pin our ideas for later. Updated from original post, shared March 2017.